We are delighted to announce the winners of the RSC Twitter Poster Conference 2017 (#RSCPoster). Building upon the success of the previous two Analytical Science Twitter Poster Conferences, the 2017 poster conference encompassed all areas of the chemical sciences. 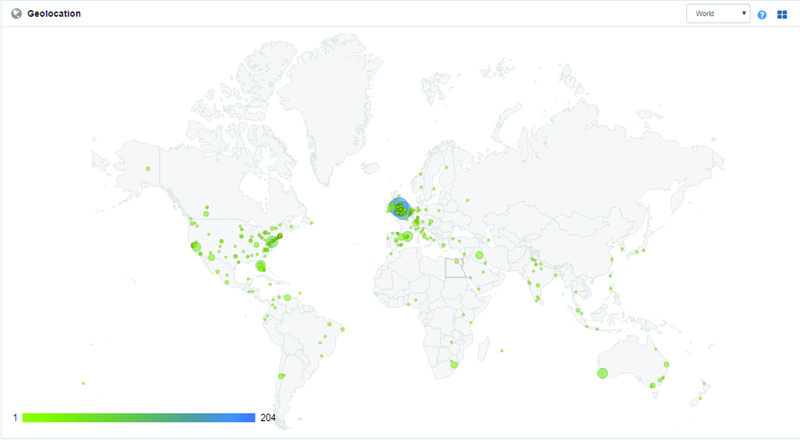 The conference reached the scientific research community around the world, achieving 1,650 contributors, 6,473 tweets, an audience of 2,770,749 and 11,841,519 total impressions. You can find out all the details about the conference here. Novenia Oerip Ariyani‏, Nanyang Technological University, Protein nanocage-stabilized emulsion: The first nonviral protein nanocage. Jo-Han Ng, University of Southampton Malaysia Campus, Telepresence Learning of Chemistry using Minecraft in Virtual Reality, entered in the #RSCEdu category. The winners received cash prizes, RSC book or OA journal vouchers, or 6 month digital subscriptions to Chemistry World. We would like to give special thanks to external sponsors Fluorochem, Morton Fraser and Thermofisher for their prize donations and support for the conference. Congratulations to all the winners and thank you to the scientific community for making the conference such a big success!